The copper stills date back to 1753. Courtesy Michters. Michter’s fans will finally have a tour and tasting for their favorite brand when the Michter’s Fort Nelson Distillery open in Louisville on Thursday, January 31st. The impressive Fort Nelson building took years to restore and reopen. With Romanesque windows, an imposing cast iron and steel construction, and a distinctive turret, it’s certainly not your traditional rustic rickhouse. First constructed in 1890, it was in a state of disrepair – almost leaning out into the street – when it was purchased by Michter’s in 2012. Seven years and 400,000 lbs of structural steel later, the building is finally ready for guests. Michter’s historic pot still. Courtesy Michter’s. “It’s only fitting that a once abandoned, great American brand found its home in a once abandoned, great American building. The Fort Nelson Building is an architectural gem, and our team is so fortunate to have had the opportunity to bring it back to life and make it a special place for everyone to visit,” said Michter’s President Joseph J. Magliocco. Those that visit will find plenty to do. The distillery tour includes an impressive 50 year old copper pot still and cypress wood fermenter, first used in Michter’s Pennsylvania distillery. “These stills will once again produce some incredibly special whiskey,” said Master Distiller Pamela Heilmann. 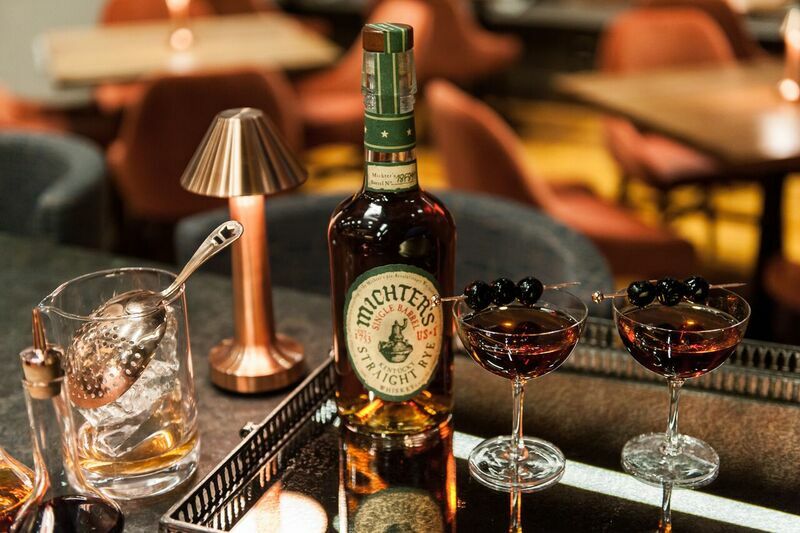 After seeing this special piece of the past, guests can enjoy a cocktail featuring one of Michter’s whiskies. Simply named “The Bar at Fort Nelson,” the bar and the cocktails it serves were designed by a dream team of cocktail historians and mixologists. Michter’s got advice on its classic cocktails at The Bar from Cocktail historian and author Dr. David Wondrich. The more modern cocktail recipes were created by Head Bartender Sevan Araneda, former General Manager of San Francisco’s Bourbon & Branch, and Bar Manager Dante Wheat, former Bar Manager at Louisville’s Butchertown Social. The Bar will feature glassware made bespoke by U.K. producer John Jenkins, and will even have an “ice program” with machines from around the world. 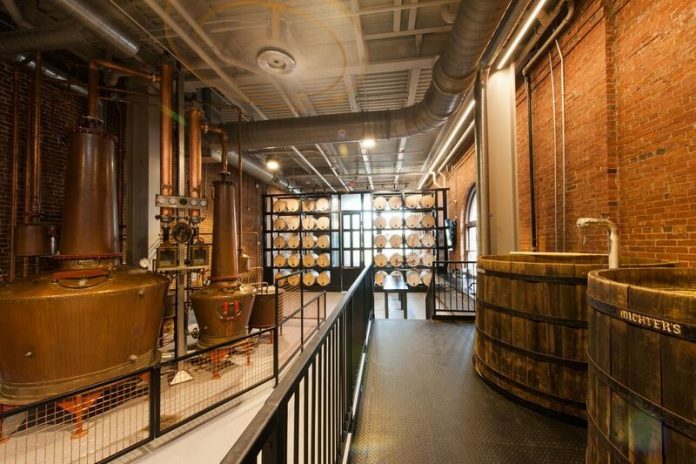 The distillery, the newest addition to the Bourbon Trail, will have a grand opening ceremony on Thursday, January 31st. Tours will open to the public on Saturday, February 2nd. They’re booking up fast – get yours today!